Blog Gearing up for spring on Manchaug Pond! Gearing up for spring on Manchaug Pond! If you have had enough of ice fishing, snowmobiling, and other winter sports, or have spent the winter just looking out the window longing for summer, take heart! The snow and ice are melting fast in and around Manchaug Pond and the Manchaug Pond Foundation has been working all winter on a whole calendar of fun and worthwhile events and projects to involve you and benefit you, the lake, the watershed, and the greater community! Spring issue of SPLASH! our colorful, print newsletter with 8 pages of info is at the printer! Get on the mailing list by hitting our PayPal donation button for any amount or send a donation to MPF, P.O. Box 154, Manchaug, MA 01526. Special thanks to our Newsletter Committee: Alice our Editor, and committee members, writers and photographers Andy, Dave, George, Karen, Marty Jo, Wendy, Phyllis, Russ and Paul, Bill L. Want to join the committee? BIG SPRING RAFFLE tickets on sale now! Get your ticket today with only 100 chances to win a $6,600 Home Theater, the 55″ Bose VideoWave III with delivery, setup and installation OR the CA$H prize of $4,000! Tickets price is $100 and directly benefit Manchaug Pond. Special thanks to our FUNdrai$ing Committee: Karen our chair, George “Gig” our raffle, and members Andy, Paula, Ted, Mike, Dave, and Phyllis. There’s a seat and a coffee for you at their meetings! Learn how to take a water sample and do site evaluation once a month as part of a larger river system water quality effort. Give a morning of your time on Saturday, April 26 for our Spring Cleanup of Ramp, Roadsides and Shoreline: 9 AM to Noon, State Boat Ramp, Torrey Road, Sutton. Start with coffee and donuts, work with neighbors and friends, and end the morning with the satisfaction of a job well done! Rake, pick up paper, boat the shoreline… it’s better than a morning at the gym! Join a committee or team! Bring your ideas to help plan the Boat Decorating Contest; develop a learning lake resource “toolbox” for kids of ages; take photos or write for the newsletter; share your time and expertise with us! We have a place for you just tell us your interest! 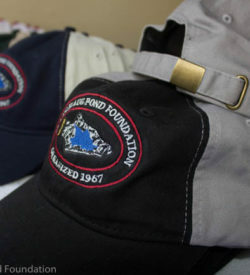 “LIKE” us on facebook @ Manchaug Pond Foundation and post with Manchaug Pond. Use GoodSearch on the internet when you search the internet. close the dam please before we lose all the run off.